We’ve talked about how to compost in your apartment with worms (vermicomposting), and there are a variety of systems to compost in your backyard, but what can you do with the leftover meat and dairy that other composts won’t take? Bokashi is a perfect solution. If you want to make your own Bokashi mixture, it’s not necessarily easy, but there are some great online resources for DIY types. Bokashi is odorless and pest free because it works with an airtight anaerobic process of fermentation. The Bokashi bucket must be completely airtight with a faucet at the bottom so you can drain out the ‘tea’. 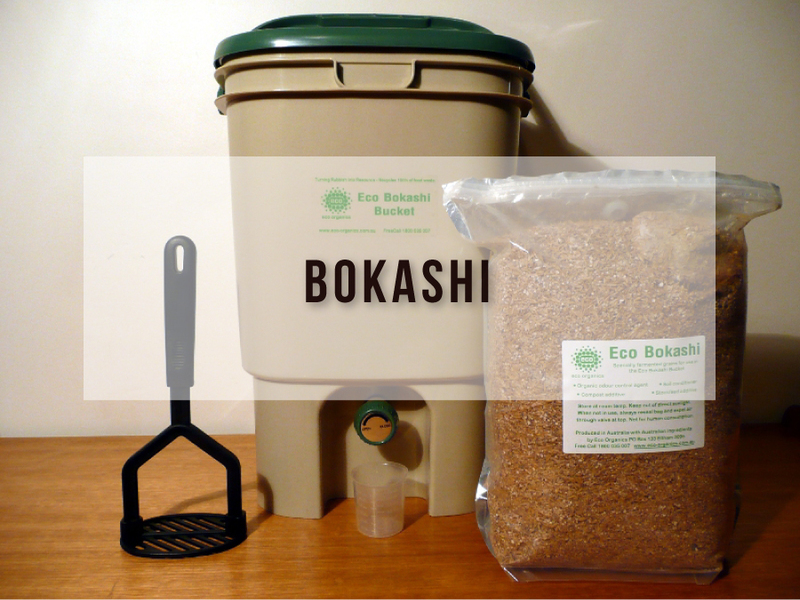 Bokashi ‘tea’ is a nutrient rich liquid that forms at the bottom of the Bokashi bucket as a result of the heat created by the composting process. The great thing about Bokashi composting is that you can put meat and dairy in the bin, foods that are difficult to compost with other methods. The other plus is the speed of Bokashi composting – it takes only 2 weeks to compost a full bin of food waste. Additionally, the lack of smell and airtight nature of the containers make them perfect for indoor and apartment composting. Whichever way you decide to compost, you can be sure that you are doing your part to curb the problem of food waste in America by keeping that waste out of landfills. Americans waste approximately 40% of the food that is purchased. So in addition to composting, make sure you only buy what you need and eat what you have in your fridge.